Ever wondered how food stall owners or entrepreneurs get chosen at your favorite foodie havens? There were a lot of contenders but only a select few were made to be part of every food spots out there. This strict screening happens especially at Mercato Centrale where the founders, led by RJ Ledesma and Anton Diaz, make sure that only the best are offered to their customers. Every once in a while, they also conduct searches or competition for their tenants so that they get to inspire them to do better, and come up with innovative and tasty dishes to the delight of their customers. No wonder people keep coming back for more at Mercato Centrale. These competitions include The Grand Taste Test, now an annual event. This time, don’t just be a spectator. On November 4 6PM-10PM at Mercato Centrale BGC, be part of food history and decide who takes the cake (or adobo? Your palates would be surprised). TASTE. CRITIQUE. VOTE. at The Grand Taste Test of Mercato Centrale. 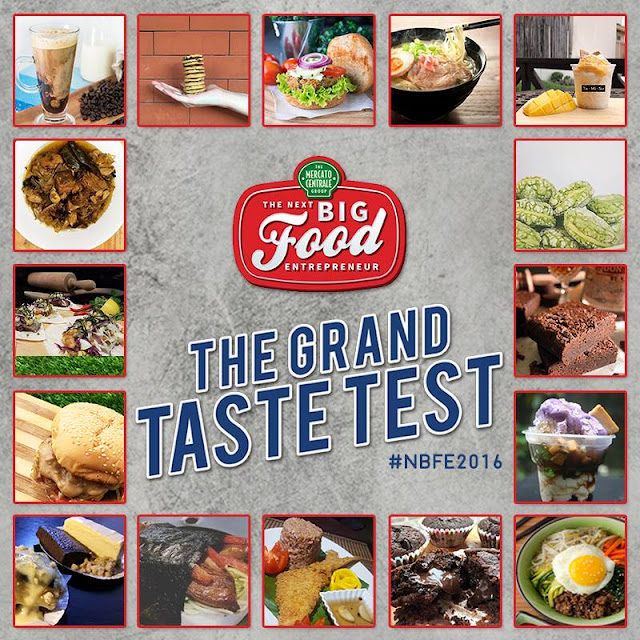 This is great news for foodies out there as you get to sample 30 mouth-watering dishes of aspiring food entrepreneurs and then cast your vote to decide The Next Big Food Entrepreneur at Mercato Centrale in BGC! Registration starts at 6pm, but they have limited slots so make sure to come early! Who will be The Next Big Food Entrepreneur? You get to find out soon and be part of the decision if you join the event. So what are you waiting for? Drop by the Mercato Centrale as early as possible so you can still make it to the cut as one of the tasters.